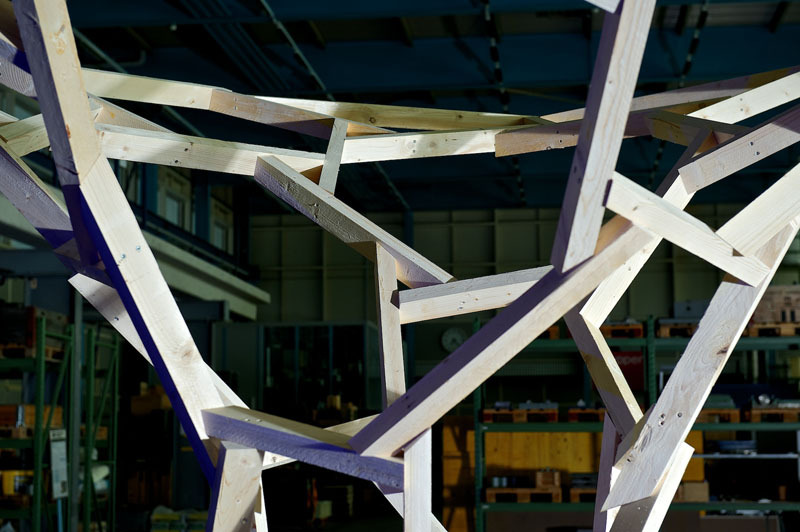 Following an elective course, a four-week workshop "Complex Timber Structures" offered the students an opportunity to deepen the themes from the semester. 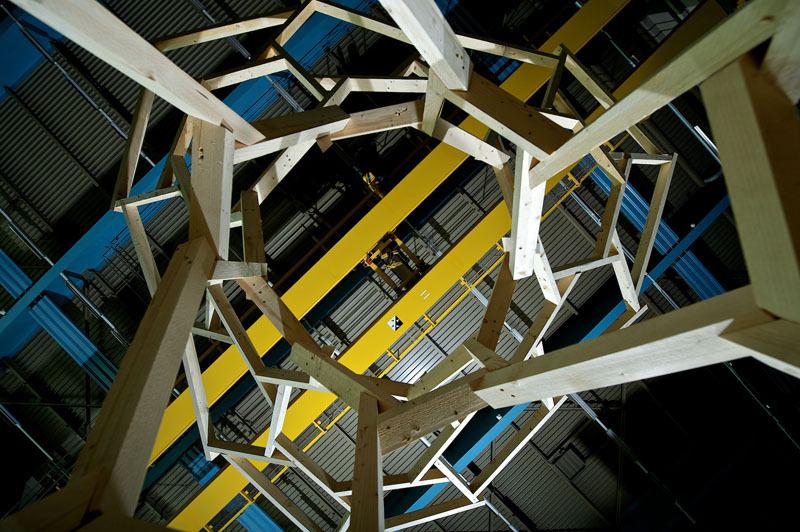 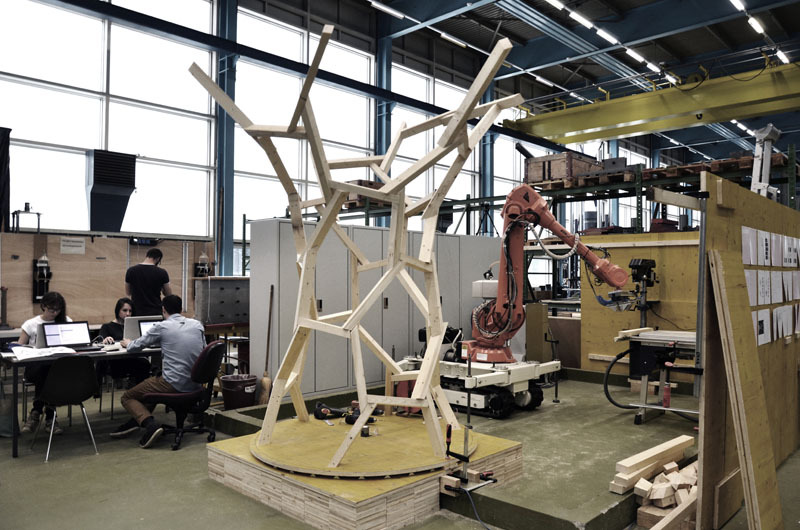 The students began with an analysis of contemporary and traditional timber systems and defined node typologies suitable for the digital fabrication process. 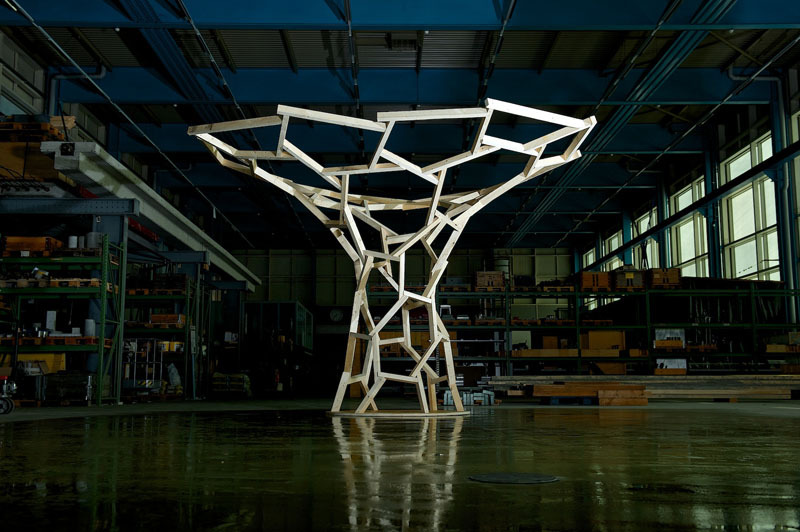 They followed by designing, programming and building a funnel-shaped wooden structure with a span of 4.5m consisting out of 93 individually cut wooden beams. 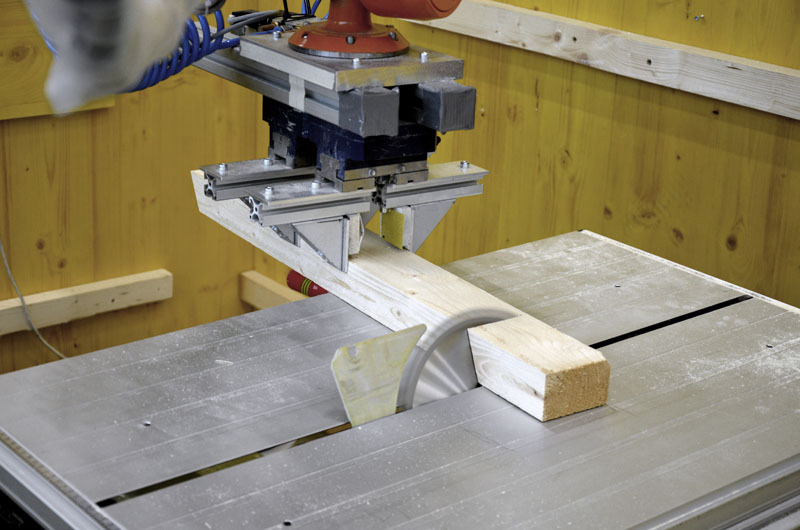 The cutting of the beams, drilling the holes for the screws and the precise placement of the components within the structure was carried out in a continuous robot-based process. 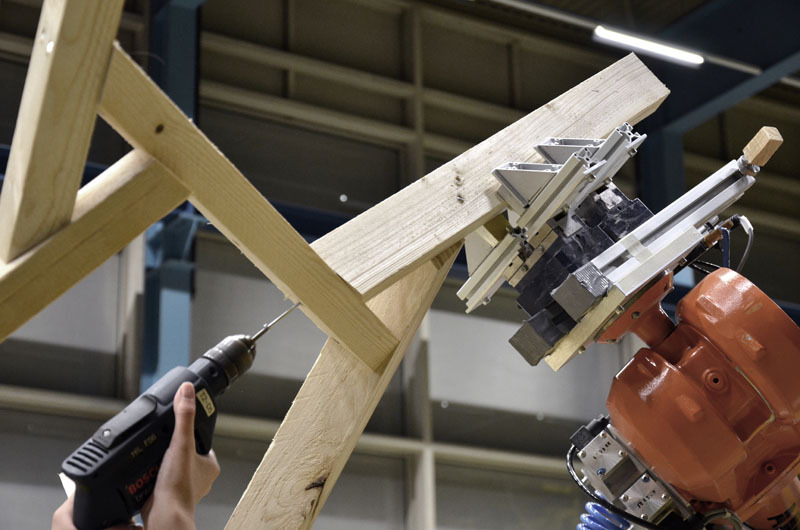 The constraints given by the robot-fabrication process such as length, angle constraints of the components and the assembly sequence of the structure were already incorporated in the planning phase of the design process and have been an integral part of the architectural design. 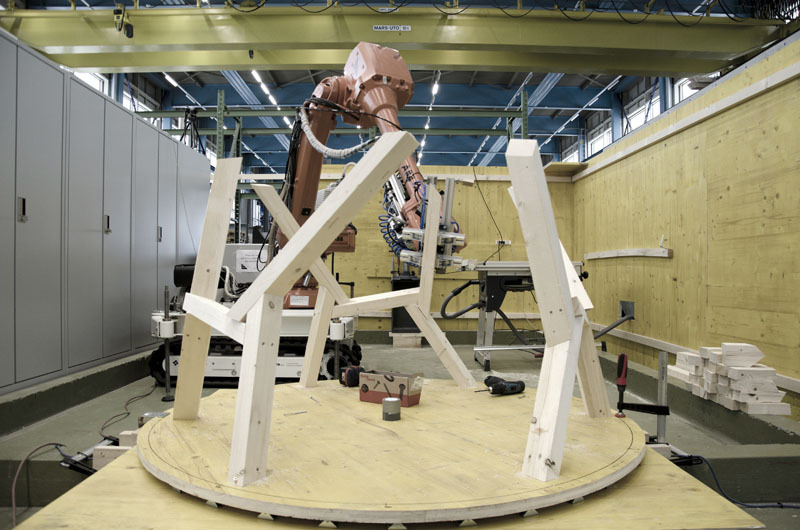 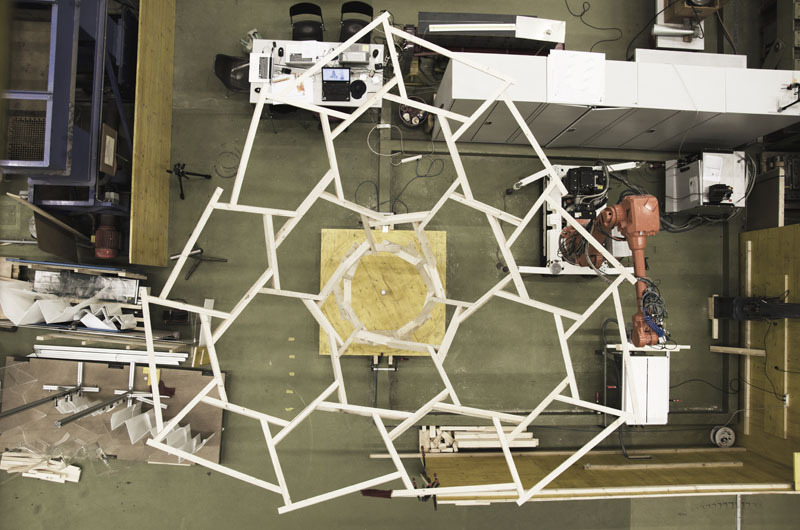 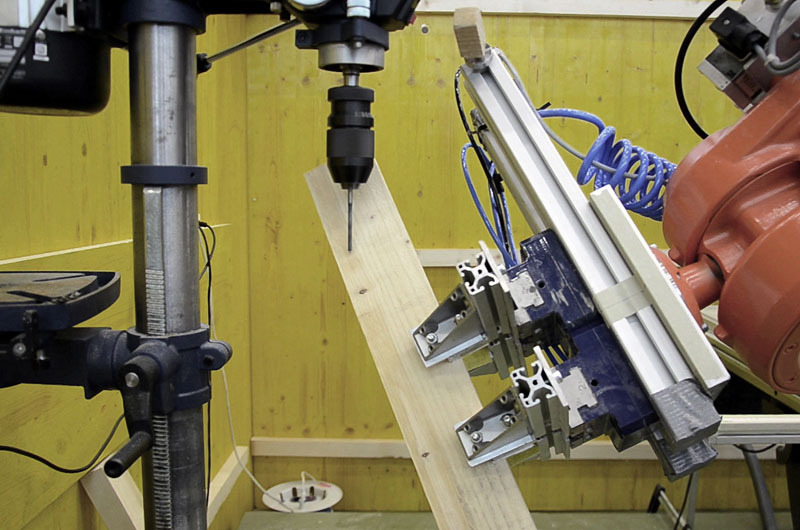 The teaching project was conducted as an integral part of the 3-year NFP66 research project "Additive Fabrication of Complex Robotic Timber Structures".